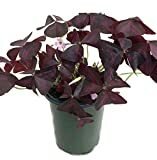 Oxalis growing herbaceous geophyte of the genus Oxalis also known as Shamrock plant or Wood sorrel, Oxalis perennial summer deciduous or annual plant, it is edible plant but mostly used as ornamental plant, can grow in tropic, mediterranean, subtropical, desert or temperate climate and growing in hardiness zone 3+. 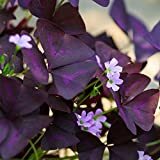 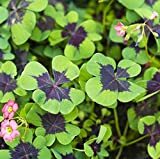 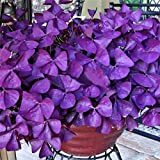 Leaves color can be purple or green in obcordate (heart shape) to triangular, leaves grow in group of the 3 heat shape connected in the base of the heart and create radial shape, leaves and stems edible in some varieties. 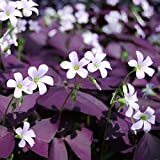 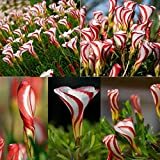 Flower color yellow, purple, pink, orange, white or red and white, the flowers have 5 petal the petals emerged together in the base of the flower, the size of the flower 1-4 cm, the flowers grow on cluster. 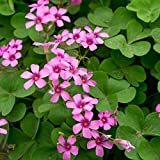 Tubers edible in some varieties (Oxalis tuberosa) and more, the tuber small and color pink to white.